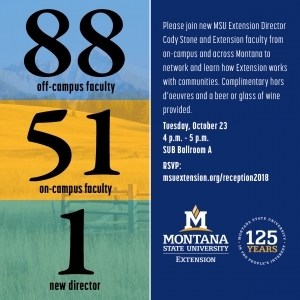 MSU Extension has 88 off-campus faculty, 51 campus faculty and professionals and 1 new director! 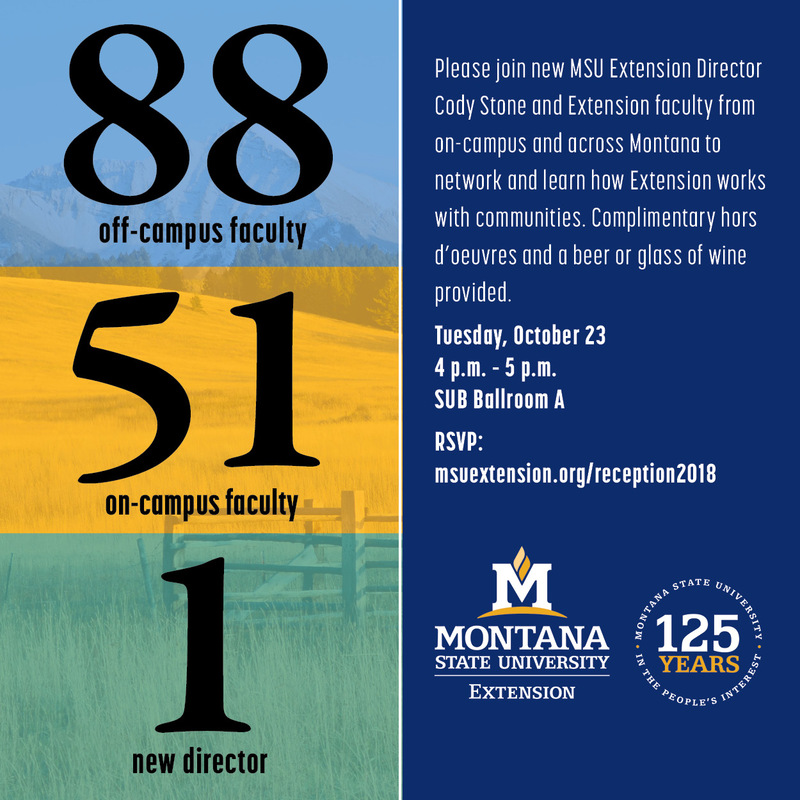 MSU Extension faculty from counties and reservations across the state, as well as campus-based Extension faculty, invite all campus faculty and staff to a reception in the SUB Ballrooms. Learn about how Extension engages with communities statewide to solve problems and plan for the future. Welcome new Extension Executive Director, Cody Stone. Complimentary hors d'oeuvres and a beer or glass of wine provided. Please RSVP to be entered in drawing for prizes!